Right click on the sound icon in system tray. 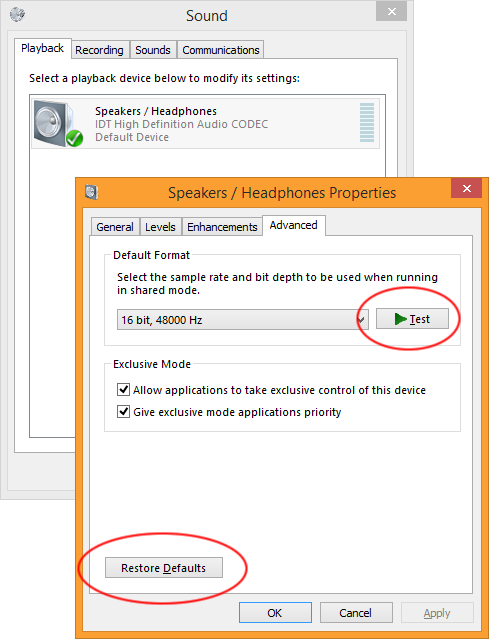 Select “Playback Devices”. Depending on the problem you have, one of these buttons tends to restore sound playback again! This entry was posted in Tips and tagged fix, repair, restore, skype 4 business, sound, sound cards, windows. Bookmark the permalink.